If there was one insanely porky place I had to recommend to people, Champ’s it is. Almost everything is made with pork, except desserts. But I did hint to Richard Nah that he should create a bacon ice cream. I’d so order that. 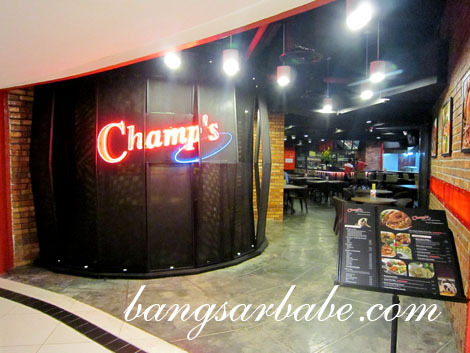 And best part is, Champ’s has an outlet in Bangsar Shopping Centre. I can literally walk over if the pork craving hits. 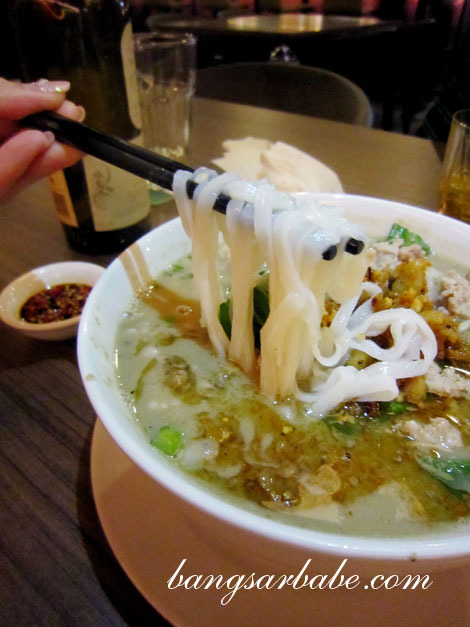 One of my must-order dishes is the chee yuk fun, loosely translated to pork noodle soup. 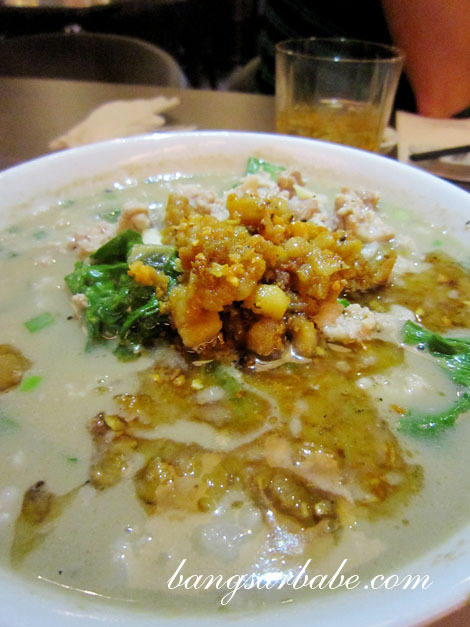 Champ’s does a very porky version with minced pork, pork slivers, liver and pork lard. The broth is insanely porky and full of flavour from the bones. I liked how the pork lard remained crunchy right till the end. Literally heart attack in a bowl. 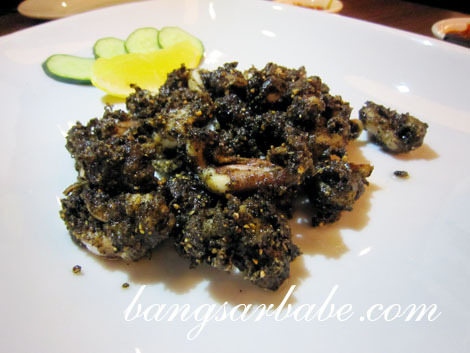 There’s also a new squid dish – salt and pepper squid – and it’s almost as wicked as my favourite batter fried squid. I say almost because I like my snacks greasy. But to be fair, this was pretty damn good because the balance of salt and pepper was just right, and the squid rings were nice and tender. The most popular dish at Champ’s is the Damn Shiok Prawn Mee. 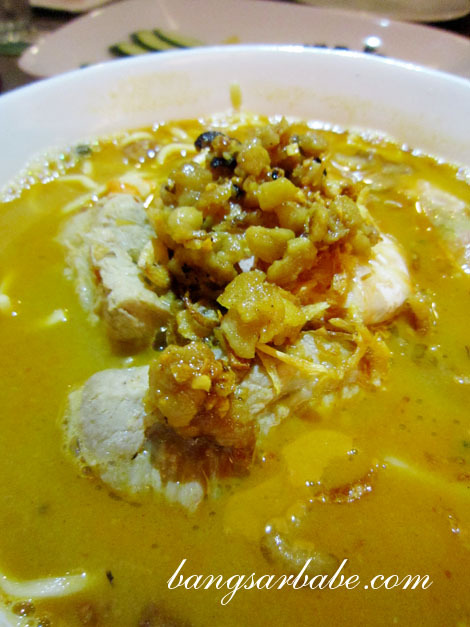 A bowl comprises pork ribs, pork slivers, large prawns, small prawns, pork lard and noodles in an orange-red broth. I’ve never tasted prawn mee this porky you get a portion that can feed two moderate eaters. 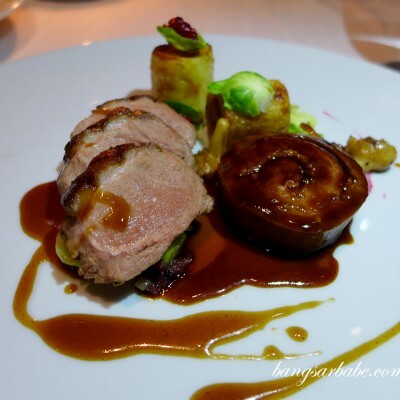 The ribs were falling off the bone and the crispy pork lard further enhanced the richly flavoured broth. If you’re not used to food this rich, please share. 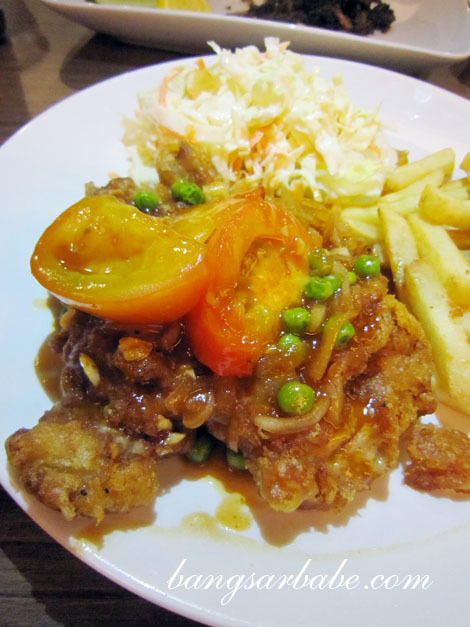 rif decided to try a non-porky dish that night – Hainanese Chicken Chop. This was quite good, but chicken isn’t something I’ll order at Champ’s. The batter was golden brown and crunchy, while the deboned chicken leg was moist and tender inside. He enjoyed it. 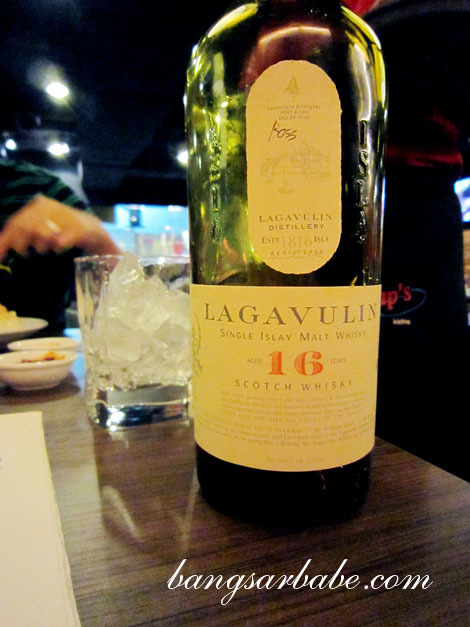 We washed the food down with some of Richard’s 16-year old Lagavulin. 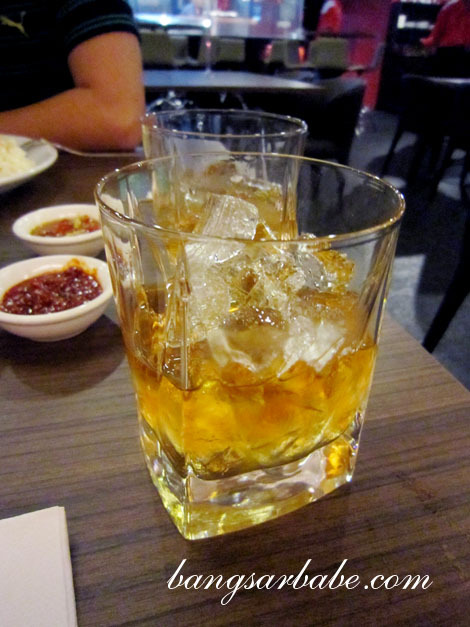 Very, very shiok! Verdict: Not exactly cheap, but I love how porky the dishes are! Haven’t not seen a bowl of pork mee loaded with that much pork lard! homaigad! 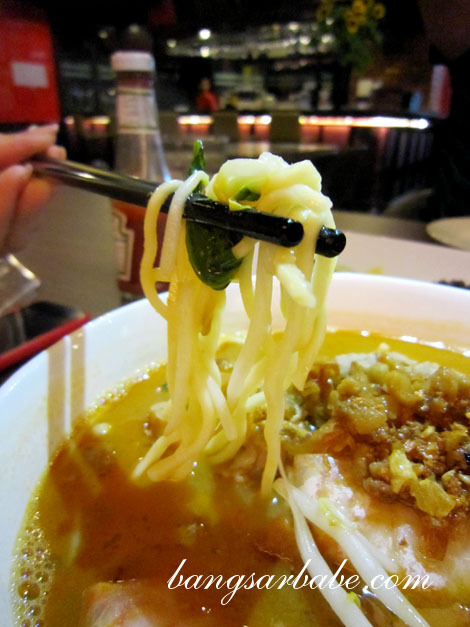 the pork noodles look insanely good! 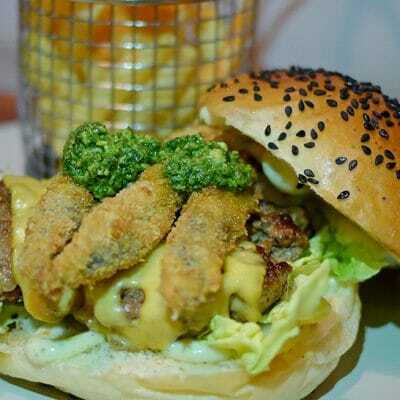 BSC is near my office, gonna persuade my colleagues to go there for lunch soon. Must pay a visit here when I’m back! Why the squid black in colour? He used black pepper to fry, that’s why. A lot of black pepper lol. can never go wrong with that kinda amount of lard!